February is vying for cruelest month this year, if only for its contributions to the celebrity death list. Philip Seymour Hoffman — now that he's gone, I'm wondering if he wasn't my favourite actor of the last 15 years. Certainly in the last decade, if you saw his name on the marquee you were assured that his minutes on-screen were going to be interesting. Consider Anthony Minghella's mawkish The Talented Mr. Ripley. Beholding Minghella's method of injecting sentimental bloat into the base material of Patricia Highsmith's flinty novel is certainly a spectacle, but one that quickly gets tedious. 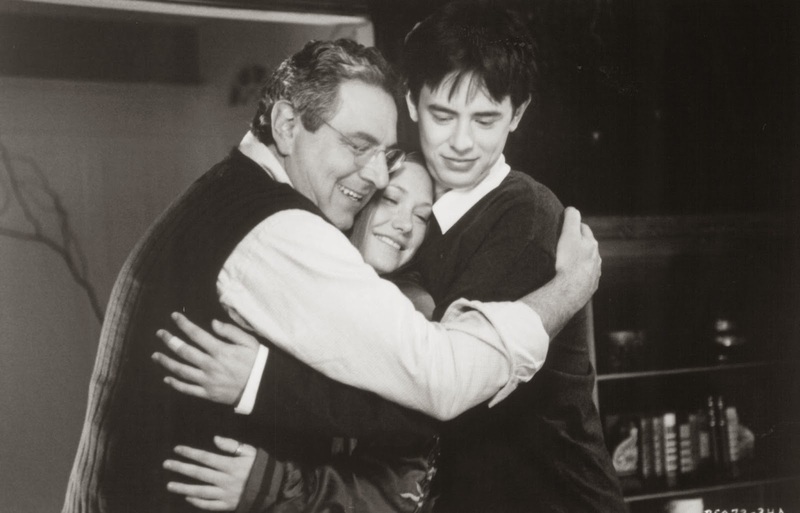 Then there's Minghella's choice of actors: Matt Damon, Jude Law, Gwyneth Paltrow. Give me one good reason to sit through more than 12 minutes of this. I get that some viewers thought PSH guilty of chewing the scenery. To which I say, if that's scenery-chewing, it's of an order that raises the entire game. Anyone on set who thought themselves entitled to a little nibble of their own had to invest a unique level of intelligence and conviction, or they fell flat in contrast. P.T. Anderson intuited this better than anyone else. Anderson placed Adam Sandler across from PSH, to pleasing enough effect. But casting the back-from-batshit Joaquin Phoenix across from PSH was inspired. By comparison, Tom Cruise (a Grand Masticator in the field of scenery binging) seems caught off-guard. No wonder he called a second match on his own turf, in M:I:III. I'll miss those grand flourishes, the set of his jaw, the rheumy eyes and breathing, and all the other tiny little indications he pulled from a seemingly inexhaustible bag of actor's tricks. Getting motivated to go to the movies just became a whole lot harder. Bob Casale (aka, “Bob 2”) — death at 61 might seem like a ripe old age for a rock 'n' roller, but DEVO had a larger brain-trust than most bands, and played a surprisingly long game through various venues: I expected their gig to continue into my advanced years. The various TV and movie noodlings that Casale and Mark Mothersbaugh did were pleasantly unmistakable. And while the band slowed its own output over time, it remained committed to its central concept and executed its entertainments with a subtle variety that played off nostalgia without succumbing to it — pretty much as they'd done from the start. This isn't a death-on-the-nostalgia-circuit, a la John Entwhistle. This is a man who died at home, and left a family behind. One gets the impression that A) the actress isn't having any difficulty locating her motivation, and B) neither is Bill Murray, and he's steering the craft 180 degrees away from it. As a comic, the lines — both his and hers — place Murray in a very tough spot. He can't afford to let the validity of her argument strike home, but of course everything he gives voice to does exactly that. He has to play it in such a way as to let the emotional reality get just enough traction to kick the plot into motion, but not so much traction as to acknowledge the actual tragedy of what is happening. My fellow grade 9ers had heard arguments like this, of course — between their parents, or between their parents and their older siblings, or between their parents and themselves. I think Ramis and Murray,** or whoever else Ramis enlisted for the part of the Slob, were the voice of reassurance. This stuff happens — don't take it too seriously. Don't take anything too seriously, but take yourself seriously — kind of. You'll muddle through. You'll be okay. I was always happy when Ramis popped up in something, and nowhere moreso than in Jake Kasdan and Mike White's Orange County. Ramis only has a bit-part, as a beleaguered Dean of Admissions who starts tripping out on some unintentionally administered ecstasy. And yet the film has Ramis's DNA all over it. It's the “Slob-vs.-Snob” template in reverse: Our Hero is an earnest stiff who aspires to be Somebody Respectable, but is foiled at every turn by the Slobs surrounding him. Ironic turn-of-play was something Ramis clearly enjoyed, and excelled at. I wonder if the OC cosmic-flip wasn't a reality Ramis didn't register — the Slobs have taken over, dammit. Only they haven't, of course: it's the snobbery that's changed shape. In its way, Orange County is a premature but very sweet farewell, on behalf of a man my generation is deeply indebted to. *Fortunately, this universe has Liliana Cavani's Ripley's Game, starring John Malkovich, who does a better job of it. **I have to wonder if one reason why Murray stopped returning Ramis's calls wasn't just the sheer exhaustion of acknowledging brute truth, then spinning that into comic redemption. Best, instead, to just to play Garfield, or turn in a laconic Wes Anderson performance. 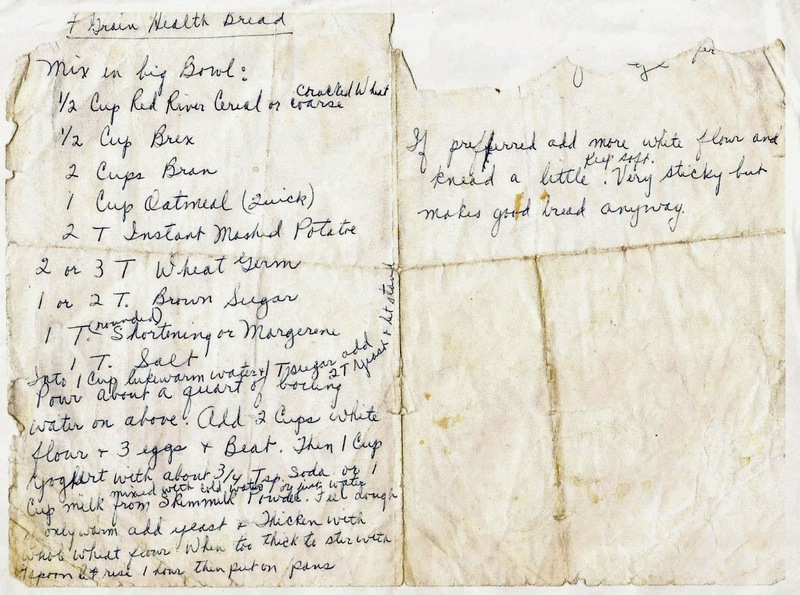 Today’s post is courtesy of my grandmother, Clara Reimer, and my uncle Dov. Okay, yeah, that she could do. Pour about a quart of boiling water on above. Add 2 Cups white flour & 3 eggs & Beat. Then 1 Cup yoghurt with about ¾ Tsp. Soda or 1 Cup milk from skim milk Powder mixed with cold water or just water. Feel dough only warm add yeast & Thicken with whole wheat flour. When too thick to stir with spoon let rise 1 hour then put on pans. If preferred add more white flour and knead a little. Keep soft. Very sticky but makes good bread anyway. *Technical note: this is a recipe for finger rolls. He used to be a physicist, named Robert Johnson. Like his namesake from the previous century, he achieved notoriety — for his accomplishments, as well as the many moral compromises made while in their pursuit. Together with his childhood friend, he has cracked the most powerful mystery behind Nikola Tesla's boldest experiment. He's also slept with his friend's wife, taken money and technology from the military, and sabotaged the lab he worked in, resulting in the disappearance of the woman he and his friend loved. 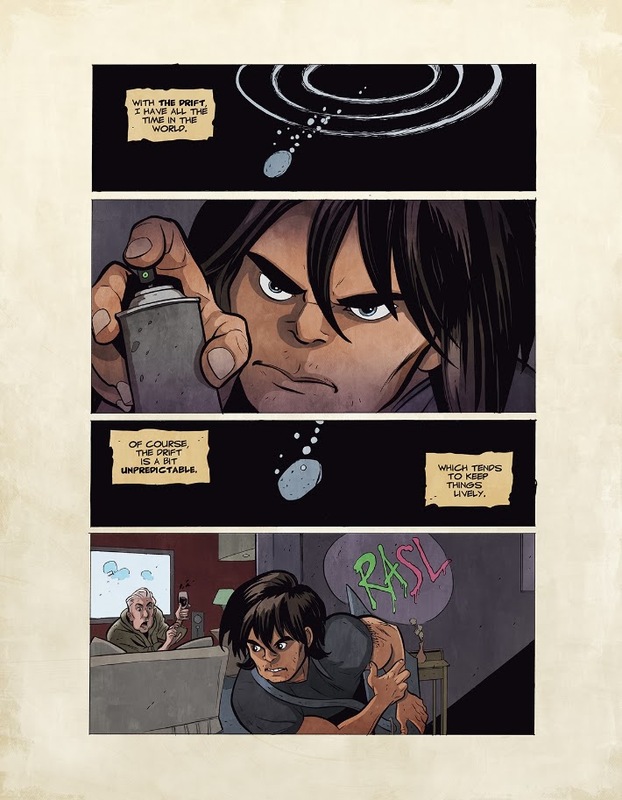 Now he uses the technology to skip to an alternate Earth, where he steals priceless objects of art, and tags the empty space with his new identity — RASL (“messenger of Allah,” apparently). He returns to what he presumes is his point of origin, where he fences the works to fund his growing appetite for vice. He is pursued, of course: by a little girl who seems both haunted and haunting . . .
. . . by his friend's wife, who by rights should not exist on any plane . . .
. . . and by a government enforcer, named Salvador Crow. Crow's motivations are, for a while, opaque. 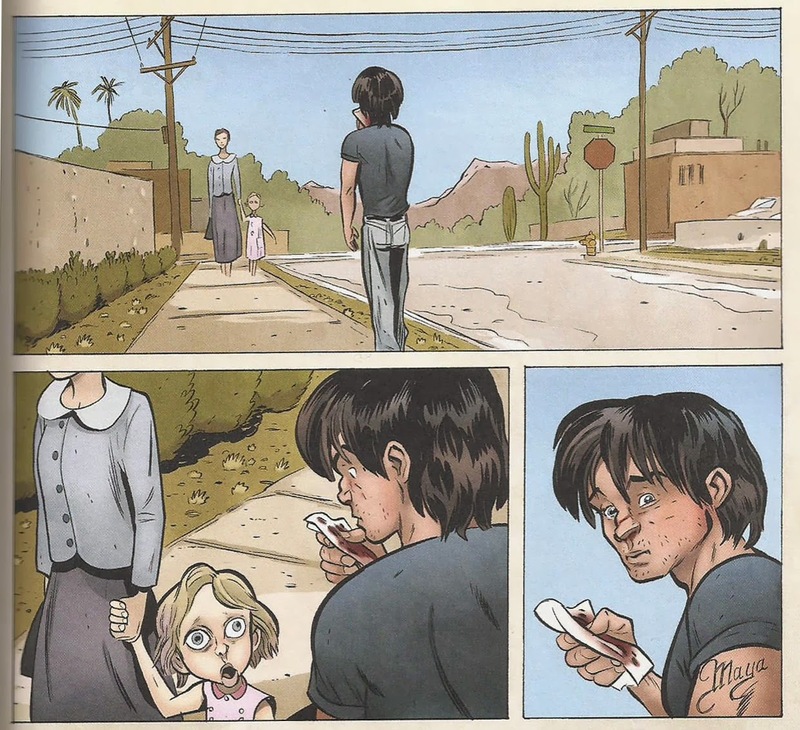 He appears unconcerned about retrieving the works of art intact, or capturing Rasl alive. Only when he and Rasl meet within military confines, is his motivation made explicit. Howard's Kane is, in appearance and attitude, a Puritan. He strides forward to vanquish any variety of abomination, unrelentingly confident in his (somewhat smudgy) Calvinist world view. 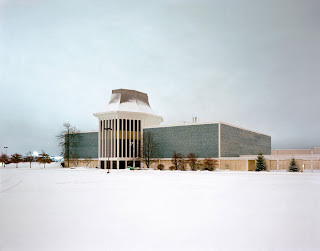 But there is an existential irony in these stories: Kane is too thick-headed a lunk to perceive that he participates, in fact, in a cosmic pagan-pantheist arena, where ancient scores are slowly getting settled. 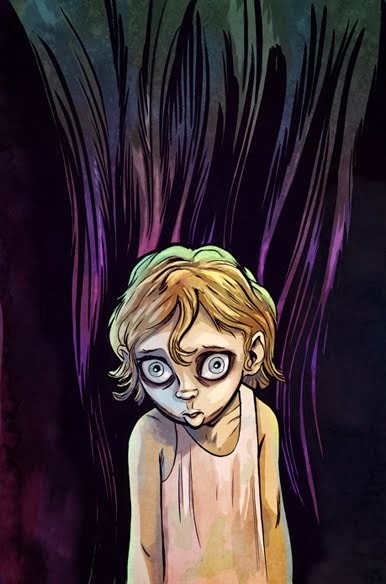 Sal Crow, on the other hand, vaguely apprehends the significance of Tesla's theory of infinite cosmoses, and Rasl's confirmation of it: humanity's reality is so much smaller, and more precarious, than Crow has imagined. The tensions and ambiguities in the new reality are too great for Crow to bear. Like Kane, he behaves like the god he believes in. Unlike Kane, his behaviour is rewarded with persistent failure. So humanity is fraught with greater absurdity and peril than previously accounted for: where is the hand of the Divine in all this? If it exists, like everything else, it does so in a previously unconsidered manifestation. Some questions are answered. Some of the answers raise more questions. 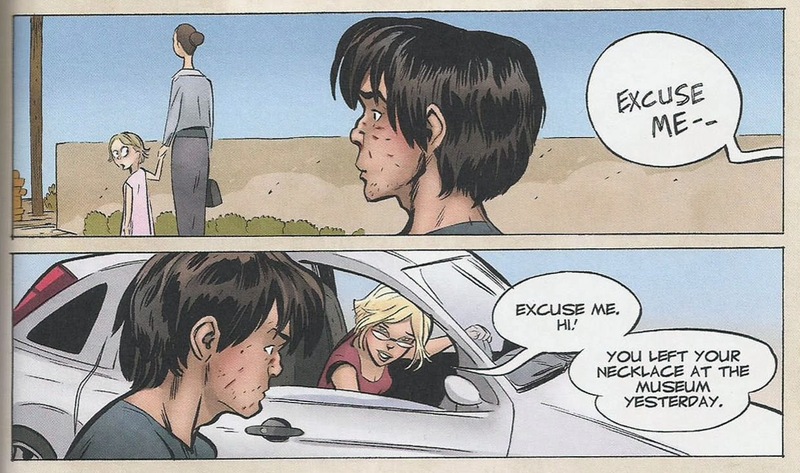 Rasl, nee: Johnson, who throughout has behaved with sludgy moral intuition, is fortunate to finally encounter someone whose moral clarity is more grotesque than even Crow's. 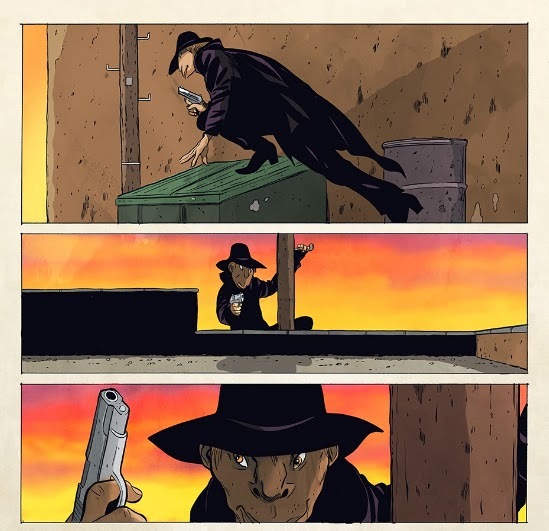 While the final confrontation is perhaps a bit too tidy (and unsurprising), considering everything that's led up to it, it does still meet the noir standards that Smith adheres to. An ancient score gets settled, in other words. It's as worthy a conclusion as a reader can hope for, really. The contract between the living and the dead has traditionally been one of mutual indebtedness. The dead depend on the living to preserve their authority, heed their concerns, and keep them going in their secular afterlives. In return, they (the dead) help us to know ourselves, give form to our lives, organize our social relations, and restrain our destructive impulses. They provide us with the counsel needed to maintain the institutional order, of which they remain the authors, and prevent it from generating into a bestial barbarism. The dead are our guardians. We give them a future so that they may give us a past. We help them live on so that they may help us go forward. 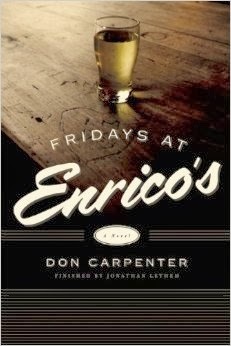 I stumbled across some happy news yesterday: Don Carpenter’s Fridays At Enrico’s is slated for publication, this April. Carpenter has cult-lit status: a talented chap who, in the 1950s, dove deep into the West Coast Beat-Hippy-Hollywood scene, and worked as hard as he partied. His oeuvre retains considerable cache, not just with Boomers Who Remember, but with schmoes-gone-pro (like Richard Price and George Pelecanos) as well as the current Hipsterati. In the decade that followed his suicide, the manuscript for Fridays acquired the status of Holy Grail—Carpenter’s final work, a novel akin to de Beauvoir’s The Mandarins, where the changing of famous names only adds to the piquancy of the drama. Carpenter’s executor and surviving family members assured the public it definitely existed, albeit in an admittedly rough and probably unpublishable format. Fans of A Hard Rain Falling and A Couple Of Comedians would have jumped at a POD photocopy, but now we have something better: the finished product, with an afterword by West Coaster Jonathan Lethem. Looks like I’ve got two months to clear a coveted spot on the bedside table.